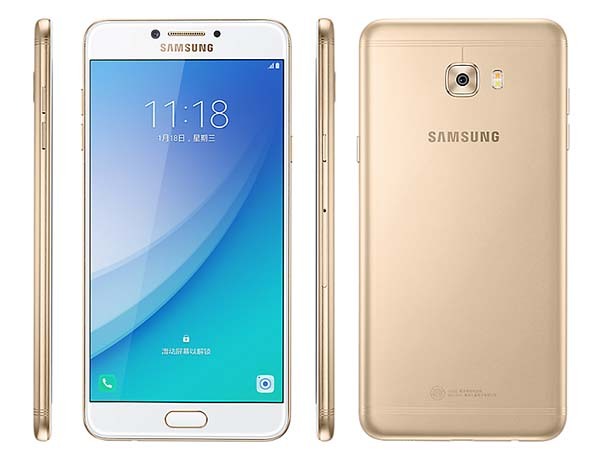 Samsung has announced Galaxy C7 Pro via its Chinese official site. Want to learn more features of the Android smartphone except 16MP cameras and Super AMOLED screen? Let’s keep checking. 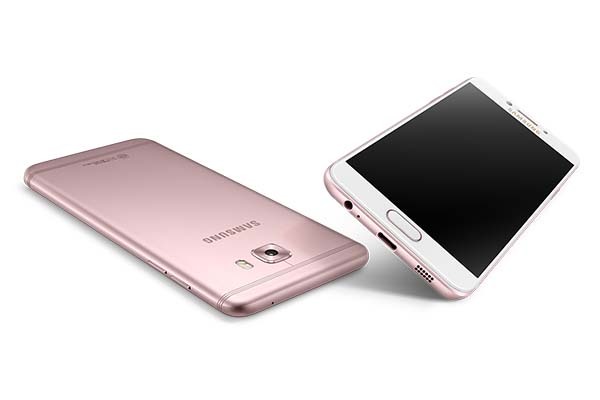 Samsung Galaxy C7 Pro is a mid-range, large-screen Smartphone that measures 156.5 x 77.2 x 7.0mm and weighs 172g. As shown in the images, the Android phone sports a sleek and ultra-thin form factor, and charming metal finish delivers three optional colors to match different lifestyles. Meanwhile, ultra narrow antenna strips and compact rear camera add some detailing that complements to the minimal, modern design. Samsung Galaxy C7 Pro is powered by a Qualcomm Snapdragon 626 2.2GHz octa-core processor and comes with 4GB RAM and 64GB ROM with microSD card slot supporting up to 256GB in order to handle various apps, mobile games and video playback. The 5.7-inch 1920 x 1080 Super AMOLED display lets you comfortably enjoy your favorite multimedia content. Furthermore, the smartphone comes equipped with two 16MP cameras with f/1.9 aperture allow you capture beautiful photos and selfies, and both cameras support 1080p video recording at 30fps. Moreover, other features also include USB-C port, 3.5mm audio jack, Bluetooth 4.2 with NFC, dual SIM support and 3300mAh rechargeable battery. Samsung Galaxy C7 Pro will be available from January in China, but no word about pricing and availability in other regions. If you’re interested, jump to Samsung official site for its more details.